Our Complete Mattress Set contains our most popular mattress, the Pocket 2000 Memory, as well as an assortment of added extras designed to provide additional comfort and support. The core element of the Complete Mattress Set, the Pocket 2000 Memory Mattress is one of our most popular thanks to the superb level of comfort it provides. Alongside our Mattress Protector and Mattress Topper, you’ll be drifting off to sleep in no time at all. The Mattress Protector has been handpicked to protect your mattress from all manner of circumstances that could cause unfortunate damage or wear and tear to your mattress including stains, dust, rips and more. It’s functionality doesn’t end there, it also acts as an additional layer of comfort on top of your mattress. We are so confident of our workmanship and uniquely chosen natural fillings selected for this mattress are of a high quality that we offer an 7 year warranty on your Pocket 2000 Memory Mattress. 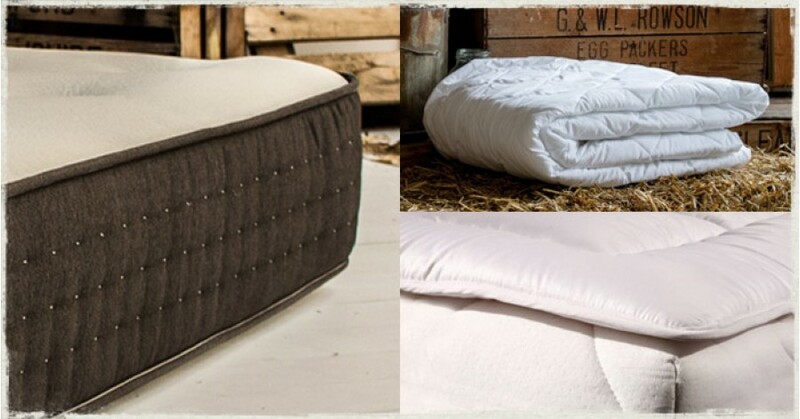 The Mattress Topper is designed as an extension to your mattress, whilst adding a layer of extra comfort. It’s perfect for the winter months when you're looking to sink a little further into your mattress and stay nice and warm. The first of our exclusive product sets, the Complete Mattress Set provides you with everything you'll need to have a fully equipped, irresistibly comfortable mattress to dive into each night. The Complete Mattress Set was put together using our industry knowledge to bring you a combination of different products that would improve your sleeping experience.